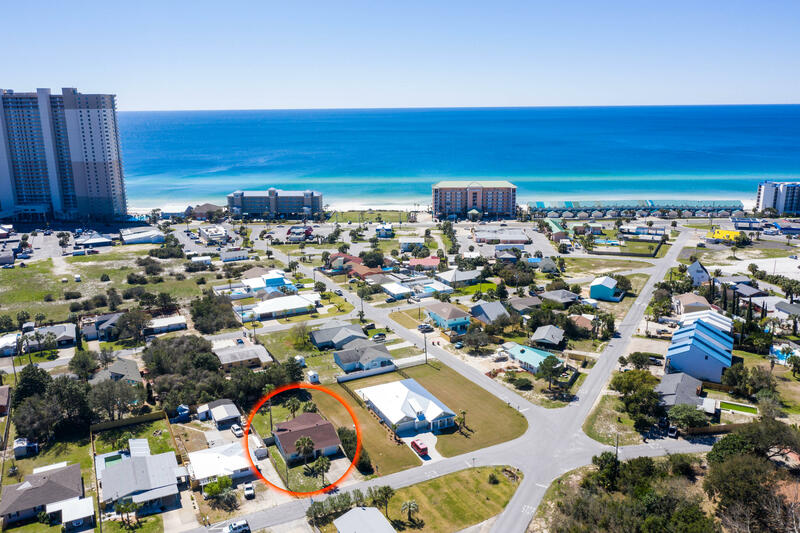 16829 Innocente Avenue, Panama City Beach, MLS# 817745: ERA American Real Estate Bay Property For Sale in Northwest Florida, Schedule a Showing, Call Brandon Jordan of ERA American Real Estate Today! Excellent opportunity to purchase a primary, second home or investment property within a short walk to the beautiful beach of Panama City Beach, Florida. This 3 bedroom, 2 bathroom single level home offers a generous backyard area and over 1500sf of heated and cooled space. The property is currently rented month to month for $1695 per month to tenants that have been in place for several years. The home can be move-in ready and tenants can be vacated by a future closing date for anyone not interested in being a landlord. This home offers tons of potential and the location near the main thoroughfare of Highway 79 and Front Beach Road are ideal. Pier Park is less than a mile east from the property and includes all of your necessary amenities and area attractions. This information was last updated on 4/20/2019 11:31:52 PM.